The nurse anesthetist profession has its roots in the Civil War when nurses first administered anesthesia to wounded soldiers. Today, the specialization of Certified Registered Nurse Anesthetists (CRNAs) safely administer approximately 43 million anesthetics to patients each year in U.S. hospitals, surgical centers, physicians’ offices and other healthcare settings. In most urban and suburban settings, CRNAs work in a collaborative team practice with physician anesthesiologists. In less populated areas, they are the sole anesthesia providers in most rural hospitals, enabling these facilities to offer obstetric, surgical and trauma stabilization and other services. 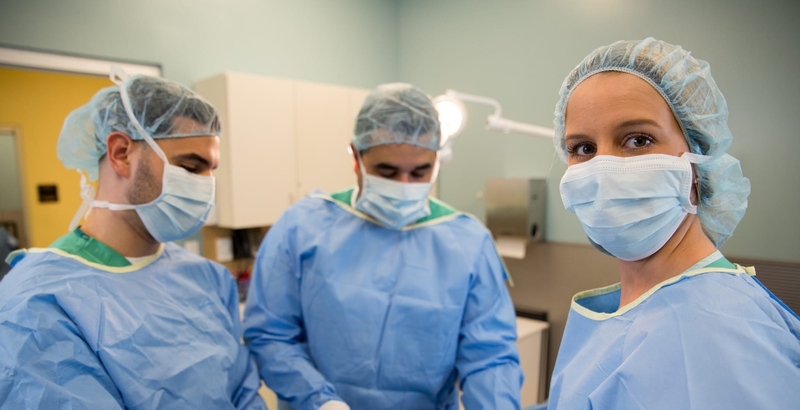 If you feel the calling to become a CRNA and lead the way in safe, cost-efficient, quality care in anesthesia practice, FIU Nursing’s Doctor of Nursing Practice in Nurse Anesthesia (DNP-NA) is for you. Our full-time education and training program can lead to a degree in nine consecutive semesters. You will learn best practices, advanced skills, and interdisciplinary collaboration in classroom, clinical and high-tech simulation settings.